The hepatitis B core antibody is produced by your immune system after infection by the hepatitis B virus, and it can persist for life. It is a sign that you either have an active (acute) hepatitis B infection or that you have had hepatitis B in the past. It is an immune system response to a protein in the core of the virus, and it is only present if you have been infected, rather than immunized. It is part of a routine screening panel of tests for hepatitis B. When it is found to be positive, your doctor will order further tests to determine the stage of the infection, acute or chronic. The hepatitis B core antibody test is part of a screening panel for hepatitis B, which also will include hepatitis B surface antigen and hepatitis B surface antibody. These three tests look for acute and chronic infections. It may be ordered you have symptoms of hepatitis such as jaundice (turning yellow), fever, fatigue, pale stools, dark urine, nausea, vomiting and loss of appetite. In this case, the hepatitis B core antibody IgM test may be used, as it shows an early stage of infection. It may be ordered if you are being screened for hepatitis B because you are donating blood or wish to become an organ donor. Hepatitis B can be transmitted by blood or by organ transplant, so donors are tested to prevent infecting recipients. It's possible to have had the infection with only mild symptoms, so many people don't realize they have had hepatitis B. People who are part of populations at risk for hepatitis B infection will be screened. Screening is also often done for pregnant women, infants and household contacts of hepatitis B patients, in cases of needlestick blood or body fluid exposure, and for people with HIV. How Is the HBcAb Test Done? This is a blood test. A tube of blood will be drawn from your vein, or a sample will be taken off during blood donation. The blood is sent to the lab where it is tested. Sometimes HBcAb will be added on when other tests results indicate there may be a hepatitis B infection. There are two variations of antibody. The IgM antibody is produced early in the infection, so it shows that you may have a current, active infection. Sometimes it persists for years, but it usually drops to undetectable levels. The HBcAb IgG variant is produced later in the course of the infection, and it's likely that you will have a positive HBcAb test the rest of your life. The screening panel usually has a test that is for total HBcAb, which includes both IgM and IgG. The IgM test may be ordered to help determine if you have an acute infection. A positive HBcAb test must be interpreted with the results of the other tests. You may have an active or chronic infection, or you may be immune to hepatitis B due to past infection. Discuss the results with your doctor. In any case, a positive HBcAb test means your blood or organs must not be given to a recipient. Testing and Public Health Management of Persons with Chronic Hepatitis B Virus Infection, Centers for Disease Control and Prevention, October 5, 2015. 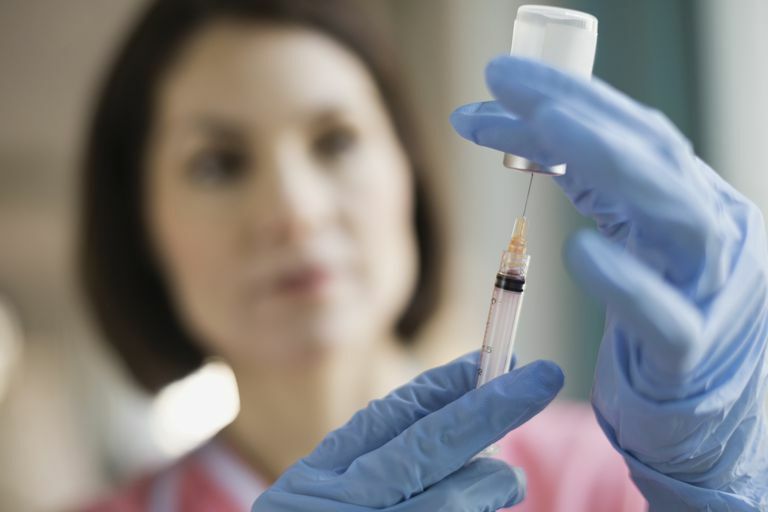 Why Would Anyone Need a Hepatitis B Vaccine? What Are the Common Tests That Help Diagnose Hepatitis? How Effective Is Heplisav-B in Preventing Hepatitis B?